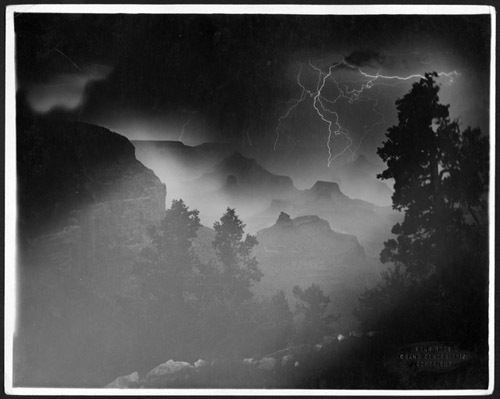 In 1902, Emery and Ellsworth Kolb opened a studio in the Grand Canyon and began making photographs of mule parties, landscapes, river adventures, and nearly every other dramatic scene and incident that occurred in the area. 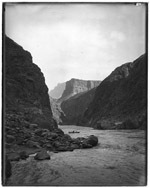 They also successfully navigated the Green and Colorado Rivers in 1911, filming their journey. 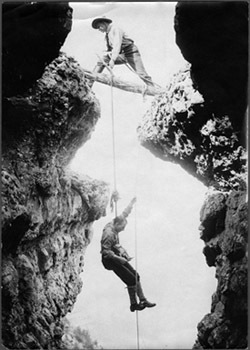 The film ran in the Kolb Studio in the Grand Canyon from 1915 until Emery's death in 1976 (see right). Now the Kolb Brothers' photographs and films run throughout numerous short and full-length films, most notably the Ken Burns' documentary, National Parks: America's Best Idea. 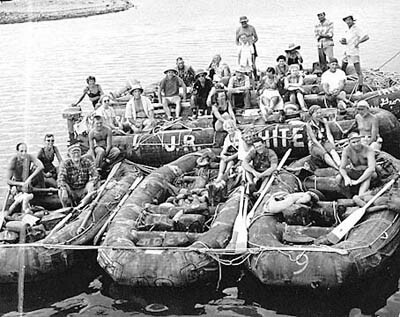 Their story is also the subject of several books, including The Brave Ones, a collection of Kolb Brothers' journals and letters. 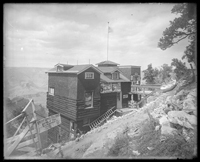 Brimming with popularity, the Emery Kolb Collection receives visits from film producers, Grand Canyon enthusisiasts, and the general public on a near daily basis. Many patrons purchase commercials rights to use Kolb Brothers' materials in other productions, while others simply marvel in the amazing imagery or take home a reproduction for personal or research use. An Electrical Storm at Night in the Grand Canyon. 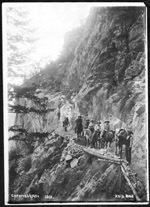 Leaving home a month later to finish our journey down the canyons to Needles, California (Ellsworth Kolb waving hat). 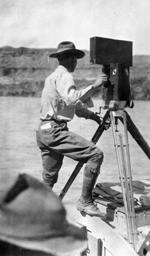 While the Emery Kolb Collection likely receives the most attention from filmmakers, photographs and video footage from other collections, such as the Bill Belknap Collection and Georgie Clark Collection, also grace the screens of television viewers everywhere, most often on the History, Discover, and Travel Channels. 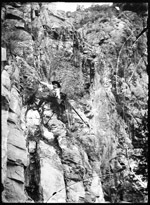 Grand Canyon trip in 1955, believed to be Georgie Clark's first big trip down the Grand Canyon. Emery Kolb showed The Grand Canyon Film Show in the Kolb Studio for more than 60 years. 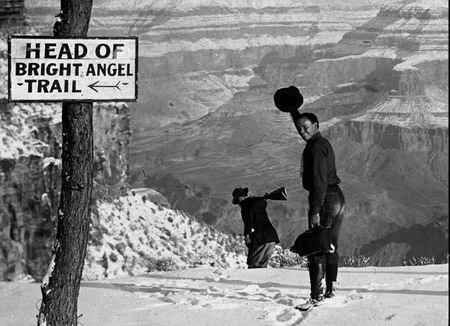 Visitors to the Grand Canyon can still see it today, and patrons of the archives may view it online here.